Gotta take the kids to school? You should stop at the track first. A collection of madmen from Honda’s Alabama plant built a humble Odyssey into a race car, and I see absolutely nothing wrong or sacrilegious about this plan. 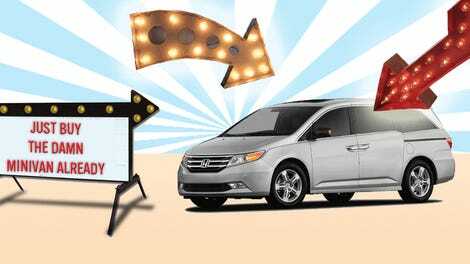 Come to think of it, every minivan would be better with a roll cage inside. 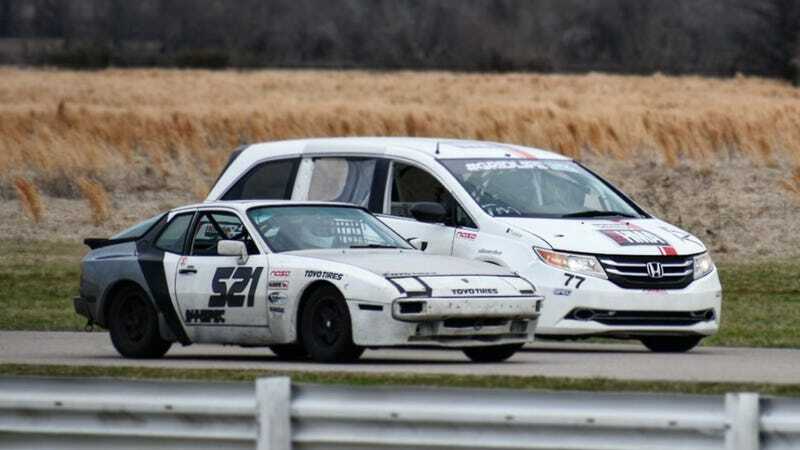 Here’s a Honda Odyssey of all things tearing it up at a National Auto Sport Association weekend alongside more traditional racing fare. The Odyssey is run by Team HMA, which much like Ohio’s Honda of America Racing Team, is based out of the Honda Manufacturing of Alabama plant. They build Hondas, and then they race them. That definitely beats your lame office bar trivia squad.